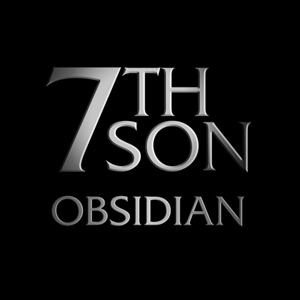 In 2008, J.C. Hutchins invited the most prominent storytellers in podcast fiction — and 7th Son fans across the globe — to contribute to 7th Son: Obsidian, an innovative audio and video fiction anthology set in the 7th Son universe. Obsidian, an innovative “in world” addition to the 7th Son trilogy, tells the tale of the nationwide blackout seen briefly in 7th Son: Destruction. More than 100 authors and fans contributed content to this project. Obsidian was a history-making experience; it was the first time in podcast fiction where the lines between author and audience were fundamentally blurred in this way. While these tales of survival were crafted as stand-alone stories, J.C. Hutchins recommends listening to the 7th Son trilogy in its entirety before experiencing Obsidian. You may manually download Obsidian episodes below by right-clicking the episode names and saving the linked files. The first half of the short story Miles To Go Before I Sleep, written and narrated by Tee Morris. The second part of Tee Morris’ short story, Miles To Go Before I Sleep. A universe-blurring tale of violence and hope by Imperial stormtrooper TD-0013, from the “A Different Point of View” podcast. The debut of “Voices From the Darkness,” a series of very special 7th Son: Obsidian episodes created by 7th Son fans across the world. This episode marks the debut of the video series of “Voices From the Darkness.” All contributions seen in this and future video “Voices” episodes were created by 7th Son fans from across the globe. He Sees In Shadows, a short story written by New York Times bestselling novelist Michael A. Stackpole. A short-short story by Evo Terra. The second episode in the “Voices From the Darkness” video series. A Rose By Any Other Name, written and narrated by Mur Lafferty. A delightful short video by the incomparable Soccergirl. The third video in the “Voices From the Darkness” series. The third fan-created audio “Voices From the Darkness” episode. Nemesis, written and narrated by Mark Yoshimoto Nemcoff. This is the first part of an epic suspense-filled novellette. One of the crown jewels of Obsidian: a short-short by Dan Klass. The fourth “Voices From the Darkness” video, featuring more than 20 minutes of content. The exciting conclusion of Mark Yoshimoto Nemcoff’s tale, Nemesis. A zany short-short from the cast of The Radio Adventures of Dr. Floyd. Matt Wallace’s short story, Receiver. A comedic skit from George Hrab and Soccergirl. The fifth “Voices From the Darkness” video episode. The Goodbye Party, by Christiana Ellis. Wichita Rutherford brings us The Odds. The sixth “Voices From the Darkness” video episode. The eighth “Voices From the Darkness” video episode. The final “Voices From the Darkness” video episode. The final episode of OBSIDIAN, featuring the short story Eusocial Networking, by Scott Sigler.